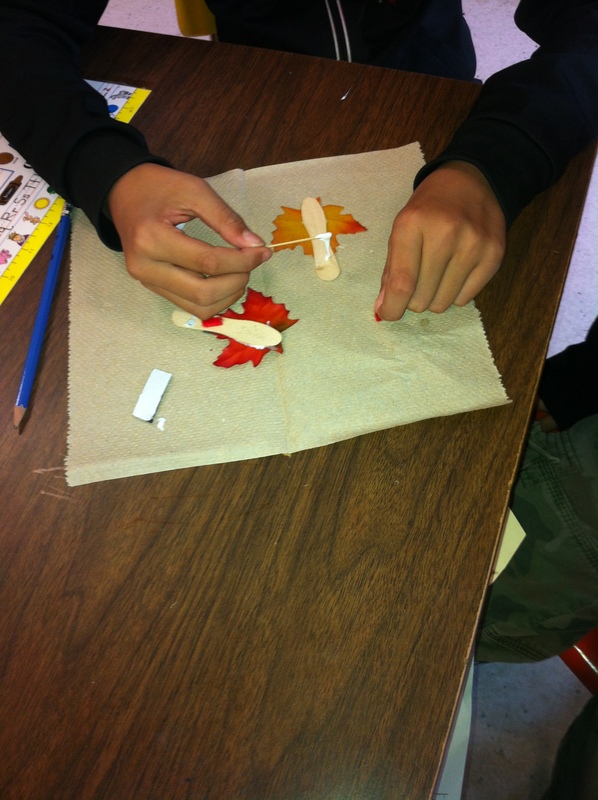 Fall Fun! | Mrs. Anton's Class! ← Letter and Science Fun! 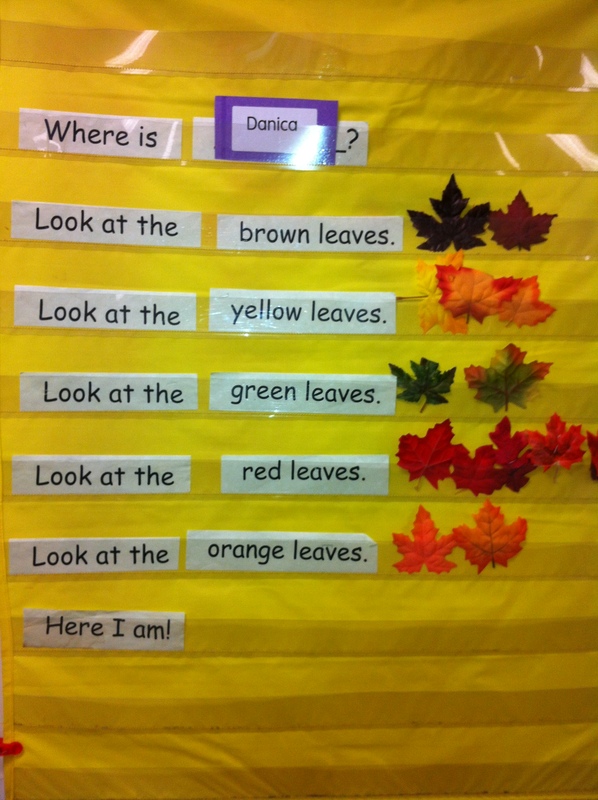 We have been working on colour words and learning about fall. 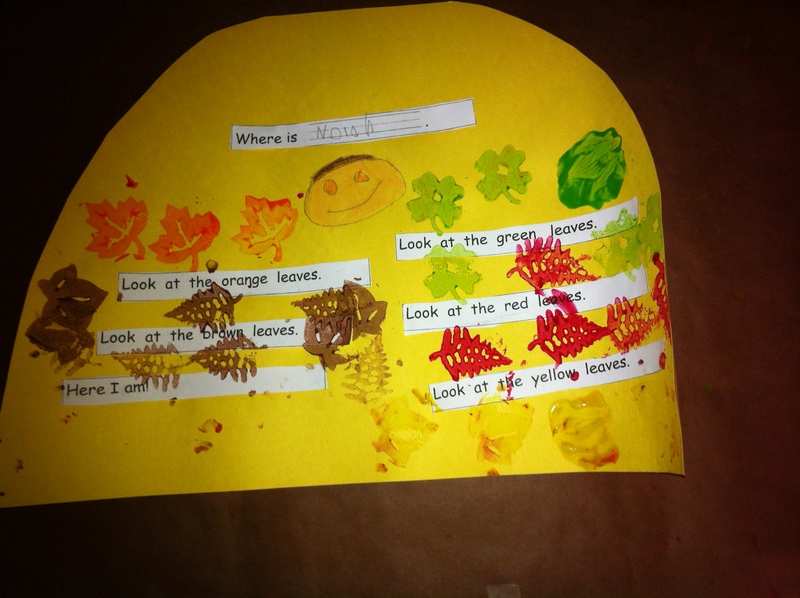 One of the stories in one of our books has a story about hiding in the leaves. 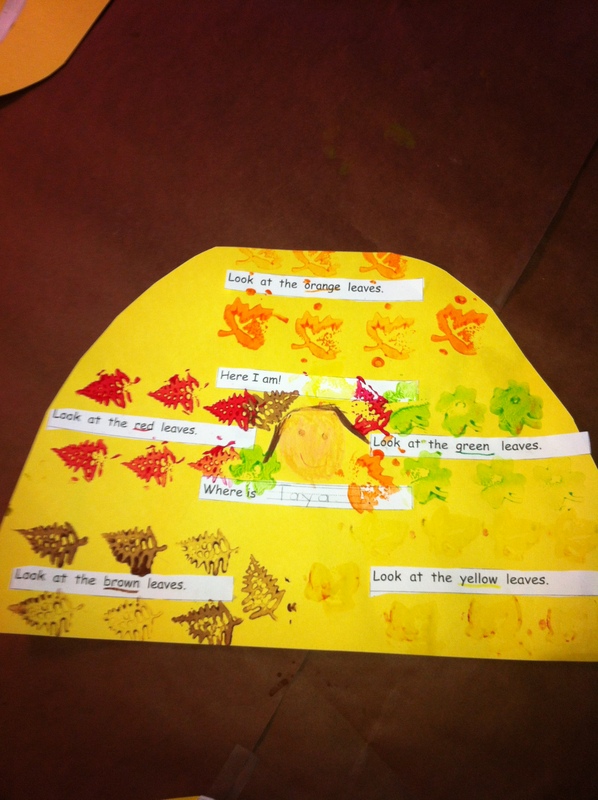 I found some awesome leaf stamps a few years ago and we used them to make these neat leaf piles and practise our colour words at the same time! Can you see the little face hiding in the leaf pile? 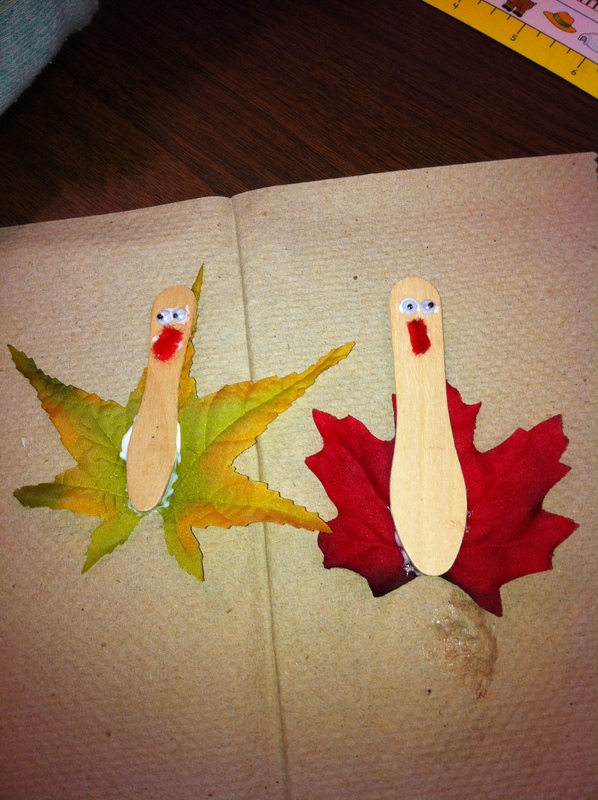 We made these turkey magnets with our Big Buddies! You can tell they are turkeys, right? 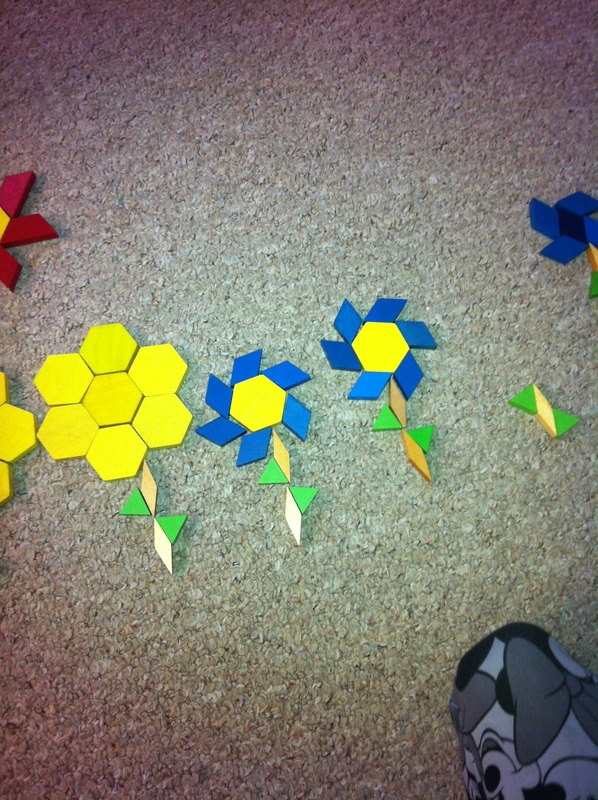 I love these flowers made with pattern blocks.